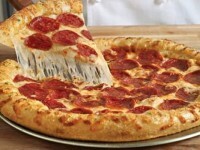 From now until September 27th, you can get a Buy One Get One free carry out deal at Domino’s. Basically you have to buy a pizza at menu price, and you get a pizza for equal or lesser value for free. This is only good for carry-out. For me, this is a so-so deal. 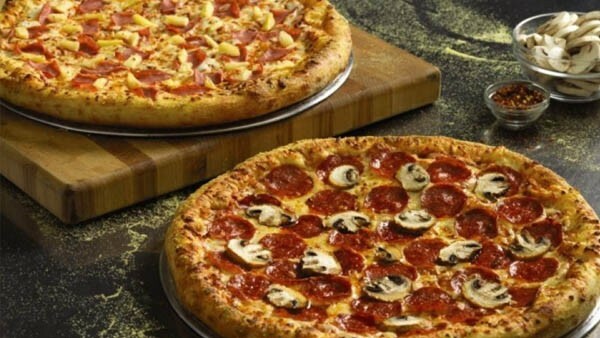 The regular menu price is usually pretty high (for example, a one topping large pizza is normally $15 in my area, so two of them is getting closer to what you can get anyway: Mid-week you can always get a 3-topping Large for $7.99, or $5.99 for a medium two-topping.